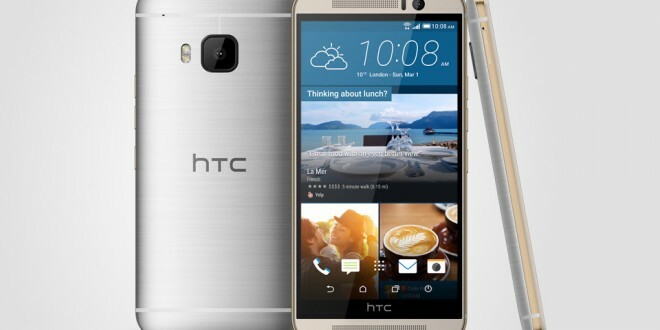 The HTC One M9 was released at the MWC 2015 on Sunday, March 1st, to mixed reviews, as people weren’t expecting HTC to recycle the One M8 design in such a way. In spite of using largely the same design on the One M9 as on the One M8, the HTC One M9 Hima smartphone turned out to be a rather powerful device with a few neat features added that made fans think twice before rashly judging the new handset. Regardless of whether one likes or dislikes the HTC One M9, it seems a Mini version of the handset is also in the works. The HTC One M9 has a mini version, so it’s only natural to assume that the HTC One M9 would also get one. Confirmation of this seems to come from infamous Upleaks, who correctly leaked all the details of the new HTC flagship weeks before the device was even launched. Moreover, the leakster published the promotional videos the company had prepared for their MWC 2015 presentation a few days ahead of the show so that everybody knew what to expect from the March 1 unveiling event. At least, that’s what they thought. Instead of a surprising HTC One M9, fans of the Taiwanese company got a bigger surprise, two in fact: the HTC Grip fitness tracker and the HTC Vive, a virtual reality headset built in partnership with Valve. Since Upleaks has risen to the rank of a trusted source and leakster, many are inclined to believe his predictions of an HTC One M9 Mini coming our way soon enough. The HTC One M8 Mini 2 was launched in May 2014, just a few months after the original model was launched. With that timeline in mind, one could assume that the HTC One M9 Mini could also be launched in April or May 2015. Based on the design of the HTC One M9 and the precedent the One M8’s mini version proposes, we should be expecting the same device, with slightly inferior, in a smaller form factor. The HTC One M8 Mini 2 differs from the original model a bit, especially in display size and resolution, form and processing power. Based on that information, the HTC One M9 Mini should be launched with a 4.5 inch display with a lower resolution of 720*1280 that would add up to about 326 ppi pixel density, and have a smaller body that would also be lighter than the original model. Since the HTC One M9 gets the Snapdragon 810 CPU, expectations of the mini version should include a Snapdragon 615 CPU at least. RAM might go from 3 GB to 2 GB, while storage should definitely remain he same. The camera, on the other hand, shouldn’t be changed, but speculation goes that HTC might make the Mini a bit inferior, slapping a 16 MP camera on the rear and keeping the front 4 MP Ultrapixel camera. There’s not much information available about the alleged HTC One M9 Mini variant, but rumors and precedent dictate that it should be launched soon enough for those who find 5 inch displays a bit too large. Don’t take our word for us, but take a grain of salt with this information, as there’s no official confirmation that Upleaks is actually right in his suppositions. Fact of the matter is that many of us are still expecting a Windows version of the One M9, too, so that might come along in a few months, probably alongside the mini version.